Last time on Snap Spot I featured the ultra cool Gorillapod, which lets you capture photos from any angle. This week, I’m giving you something you can do with all of those amazing photos that you take. Did you know you can turn your pictures into fantastic holiday gifts and cards for your friends and family, in mere minutes? One of Photojojo’s recent newsletters featured some easy and fun holiday cards made from Instagram photos, which I wanted to share with you. Using just an iPhone, some photo paper, a printer, blank cards (or card stock), and scissors, you can turn an ordinary Instagram photo into the perfect holiday card. It only takes a few simple steps, so if you’re looking for a personalized card this year, don’t miss Photojojo’s Instagram Holiday Card walkthough. As for holiday gifts, if you’re looking to do something on the cheap this year, prints of photos are always welcomed by everyone. 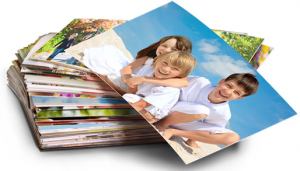 You can get large-sized versions of your photos professionally printed on sites like Snapfish and Shutterfly for a small amount of money. For example, an 8x10 print is just $3.99, and works well for Instagram photos. Slap that sucker in a cheap-but-nice frame and you’ve got a great present for just a few bucks. 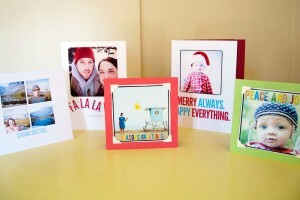 Photo collages are another great gift idea. Use an app like Diptic to create a collage of several different photos and get a poster sized 11x14 print whipped up for just $7.99. Everyone will be oohing and aahing over your creativity. If you’re feeling extra crafty, go the photo book route. 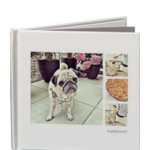 Photo books are perfect for in-laws, parents, and other relatives. I’ve used them with great success in the past. 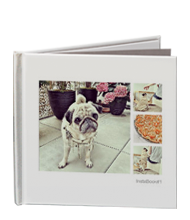 There’s a service, provided by Blurb.com, that will transform all of your Instagram photos into a handy dandy photo book. You can get 20 pages for $10.95, which is a great deal. Books are 7 inches by 7 inches, which is excellent for Instagram photos. 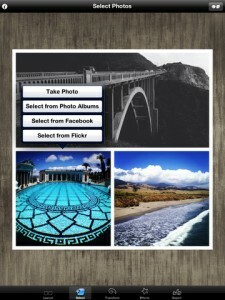 You can even turn your Instagram photos into a calendar, using Printstagr.am. Just connect your account to the service and they’ll morph your creative genius into a 365-day calendar for $40. This site has a lot of neat options for things you can make out of your Instagram photos, including posters, stickers, and my favorite, the Tinybook. 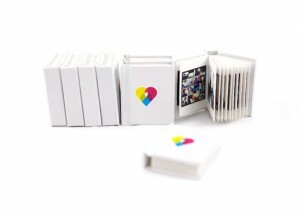 The Tinybook uses 24 different Instagram photos in a bite sized book, and anyone who sees the miniature book will fall in love with it. Look how cute it is! Your iOS photos can make creative, much loved photo gifts this year, and a present from the heart is always worth more than a present from the store. Do you plan on giving photo gifts this year? Feel free to share your ideas! Want even more Snap Spot? Check out my archives. And as always, if you have a suggestion for an app or an item that you would like to see featured, make sure to get in touch.